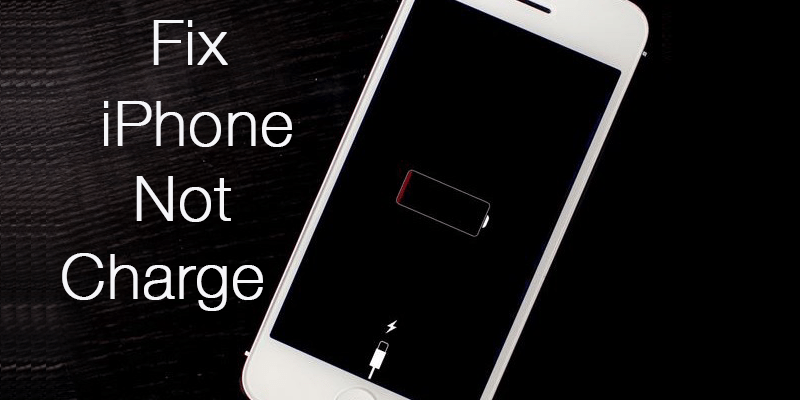 Your iPhone won't charge or it's charging very slowly? This post will teach you how you can easily resolve this issue and permanently fix this terrible issue. Owning an iPhone is indeed a heavenly feeling. Definitely, when you own a smartphone that looks great, works perfect and comes for a premium price – being have to own one gives a different sort of sensation. But on the sour side, not every human-made product in this unfair world is perfect. In fact, most of them are only close to perfection, never totally perfect. Given that fact, Apple devices like iPhone or iPads aren’t, either. Unfortunately they often strike up issues that are very silly and shouldn’t happen with smartphones. But they do. One of those problems is the iPhone won’t charge problem, but we are here to help you to fix this issue. So in case you had been wondering, how it is a software issue, then here’s a very brief non-technical breakdown. The battery isn’t directly connected to the lightening port or 30-pin old style connector on an iPhone. Instead, the lightning port connects to an IC which could detect whether the connection made is a power input, computer connection or some dock. If it’s a power adapter connection, the power would then be routed to the battery so that the iPhone can recharge itself. That’s where the problem lies in most cases where the iPhone won’t charge. Unless the IC is broken, it’s a problem with the iOS infrastructure caused either by a file corruption or by some other apps. So what if, one day the iPhone you own refuses to take charge anymore? Maybe you just plugged in the device to a power outlet on one fine morning, sipped your warm coffee and noticed the conflict just then – nothing is happening to the battery indicator. Yes the adapter is connected to the outlet, power outlet is just fine and so is the cable but the battery bar acts like nothing of the previous tasks have ever been done and the charge is in fact draining in a normal pace. How weird that could be? Now digging a little deeper, experts have found that the iPhone won’t charge problem isn’t associated with iPhone hardware in usual cases. Of course if you have fiddled with the hardware or software on your iPhone recently that’s a different story – but when the ‘iPhone won’t Charge’ thing happens out of nowhere it’s basically a software issue and hardware ICs inside has nothing to do with it. As depressing as it sounds, the problem lies underneath the fancy operating system software Apple has created to make its user’s lives easier. 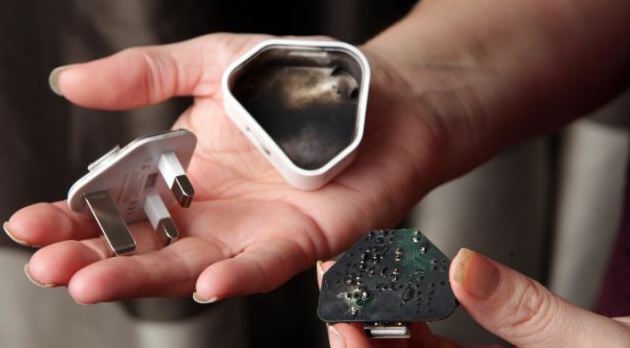 The software due a ‘bug’, prevents some iPhones from being charged even when connected to a power outlet and the solution to this trouble needs to be done via software patching; not a new battery or some sort of new IC. Be very careful if your service center is trying to rip you off, maybe you could even DIY the troubleshooting by yourself! #1: Assess the Phone. Is it an iOS Crash? A smartphone is a computer in a miniature form. And just like your desktop or laptop computer, it can freeze and crash. In case of an iOS crash, many users can’t distinguish between whether it’s a dead battery, no charging issue or just a simple software care. With all the scares they rush to the nearby Apple authenticated service centers and end up feeling like a fool. There’s no shame in being fooled like this though – everything has a first time. But now that you know your potential chances of being fooled by a human-made creature, why don’t you check whether the iPhone is simply having its downtimes or the battery isn’t actually taking charge? A dead, blank, or unresponsive display doesn’t necessarily mean the iPhone is gone or dead. In case of software crash the phone refuses to do anything at all, even charge! That is because the logical boards inside is controlled by iOS itself and when the software is out of order, there’s no one to route electricity from the power input to the battery. If you have an iPhone with blank display and it won’t charge or it won’t turn on, try a hard reset. Holding down the power and home buttons for quite a long time does the magic. However, for long time it means 30 seconds straight – even though the figure looks quite small in fonts, it might seem like forever when you’re actually doing it. 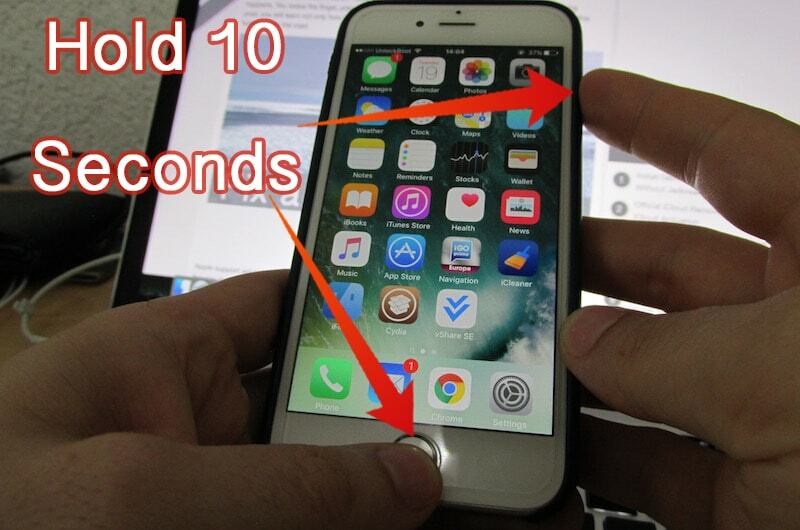 Most users just give up before 30 seconds and fail to revive their iPhone from a frozen state. Hold these two buttons and hold them down for 30 seconds or little more, if the iPhone was frozen it shall now start with the shiny Apple logo. After reboot, the phone is very much likely to charge if there’s no other trouble in the software end. Users of older variants of iPhone, for example anything between iPhone 3GS to iPhone 5 may have a faulty home button. After prolonged period of usage those older generation buttons without Touch ID are susceptible to trouble and they may take a little more of workaround to hard reset a smartphone. If the software hard reset drill hasn’t solved the problem on your iPhone, maybe software has nothing to do with the trouble. Maybe iOS isn’t messed up nor is the power IC inside the mainboard. 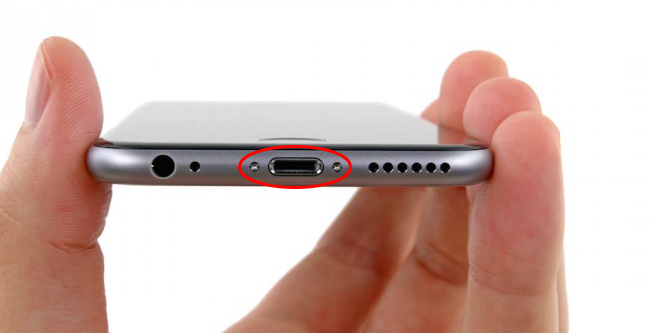 What if the problem lies beneath the lightning cable or lightning port and you just don’t know it yet? Before you start to inspect your cable, make sure you didn’t got a This accessory may not be supported error. The data cable that comes with an iPhone is durable, but even durability has its limits. For users of older iPhones, there cable may have taken lots of wrath and finally given up. For the newer ones though, maybe they were being carried in improper ways and have some sort of internal break. 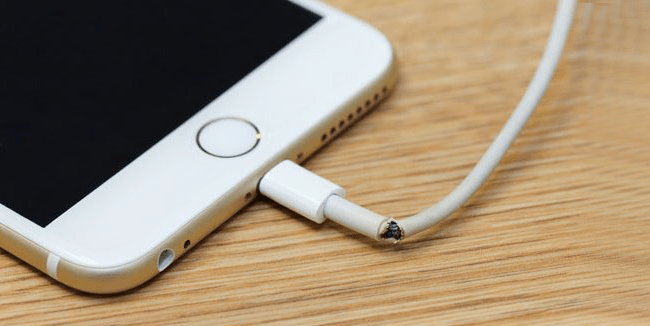 Whatever may be the reason – a broken cable is very common for any technology user, not just iPhone users. The end with a generic USB mostly stays alright but the other end with the 30 pin connector or the latest lightning connector frays or breaks. Putting a tiny spring on the fragile end or both ends could protect the cable from die premature. These springs aren’t very hard to find, most likely the inkless retractable pens on your desk have more than one. Extract those and put them on both ends of the cable while the cable is still new. And just in case you haven’t done so earlier, get a new Apple-Certified USB Cable. The $5 clones just don’t hold up in durability or data transfer speed, don’t get all miser on getting a brand new costly Apple original cable. On the other hand, the problem could lie with either end of the connector ports. Look for wear, tear and frays. If they seem very prominent, get a new cable. You better hope the 30 pin dock connector or the tiny lightning port on the device is in its perfectly working state – otherwise this would be a costly repair. Maybe a warranty could cover the expense if the issue is not cause by the user but in most broken port cases, it’s the users fault! However, check whether any pieces of paper, metal, your favorite Pringles chips or some other debris is blocking the charging port. There may contact error due to these, simple cleaning off would bring the iPhone back into charging. Even droplets from your last coffee could accidentally get inside and leave a thin layer of caffeine, blocking the connection. A professional with all necessary tools can easily get any dust, debris or stained liquid off the port and make it work again. If none of the above point seems to have solved the charging problem on your iPhone, maybe there is something wrong with the power outlet you are using. First of all, check which version of the power adapter you have. 220V adapters may not work with a lower 110V power input, and in the opposite case the charger may just get blown. The official charger offers 110v-220v voltage range, but third party cheap products won’t probably be very serious about these. Also, the pin configuration could be confusing. Different parts of the world use different types of power outlets. Maybe accidentally the user have put the positive end into the neutral phase, and there’s no electricity flow happening at all. Voltage fluctuation might cut off the built-in fuse inside the power adapter. Replacement is easy, it just takes a few bit of workaround. 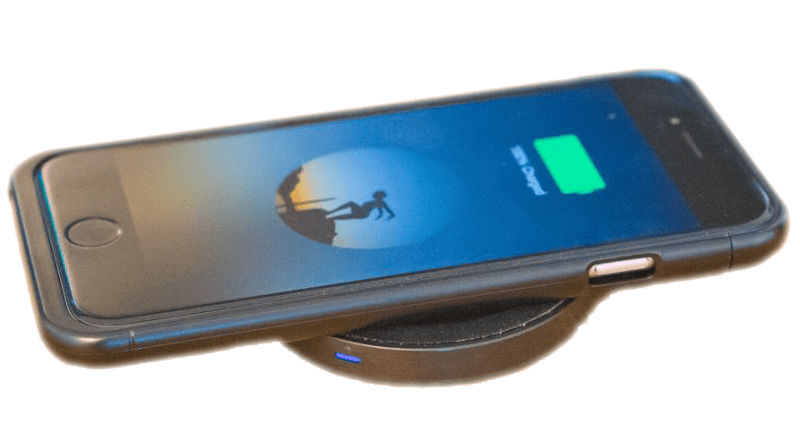 And just in case you are using a cheap power bank, battery charging case or laptop USB port to charge your iPhone, make sure they provide accurate power output. Cheap power banks are very harmful for iPhones, and a laptop on power saving mode could provide less than 5 volts of power output through a USB port. Conclusion: At least one of these experiments should bring a closure to your trouble. If it doesn’t, well, then the wisest thing to do is visiting an authorized Apple service center for expert assistance.